Registration for the 2017 Ohio Lions State Convention and Cedar Point Re-enactment are both closed. Please contact the Ohio Lions state office if you have any questions. Ever since the February 11 Council of Governors meeting we have been inundated with statewide requests for information on where to purchase such glamorous outfits like those worn at the Ohio Lions State Office. Obviously CC Ben Cosgray got everyone pumped up this past weekend in preparation for this year's Ohio Lions State Convention. 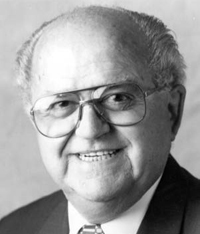 It is with deep sorrow that we annouce the passing of Past International Director Floyd Newberry, Jr.
PID Newberry was a member of the Mt Orab Lions Club and served a two year term as International Director of Lions Clubs International in 1995-1997. Visitation will be held on Wednesday, January 18, 2017 from 11:00 AM to 1:00 PM followed by a Memorial Service at 1:00 PM that will include a Lions Memorial Service along with Masonic Services. The visitation and memorial service will be held at the Cahall Funeral Home, 101 Liming Farm Rd, Mt Orab, OH 45154. The funeral home is located just off US Rt 68 south of US Rt 50 in Mt Orab. In lieu of flowers, donations can be made to Pilot Dogs, Inc., 625 W Town St., Columbus, OH 43215 or Hospice of Hope Ohio Valley, 215 Hughes Blvd., Mt Orab, OH 45154.